We hope you’re all having a wonderful festive season! Huge thanks to all our supporters and community share investors so far for backing and sharing the project. It’s been amazing to receive all your goodwill and lovely comments of support and future help. Now we’re at 92% with only just over a day to go! Alongside this we’ve received some good news, with the award of additional grant funding and also following an invitation to tender have appointed our contractor for the initial civils design. While all this is progressing, we’re awaiting the approval from the EA for our updated planning permission with the VETT technology. So it’s all go before the governments withdrawal of the Feed in Tariff for renewable Energy at the end of March. We’ll be sharing more details of all of this soon, but back to an important point…. 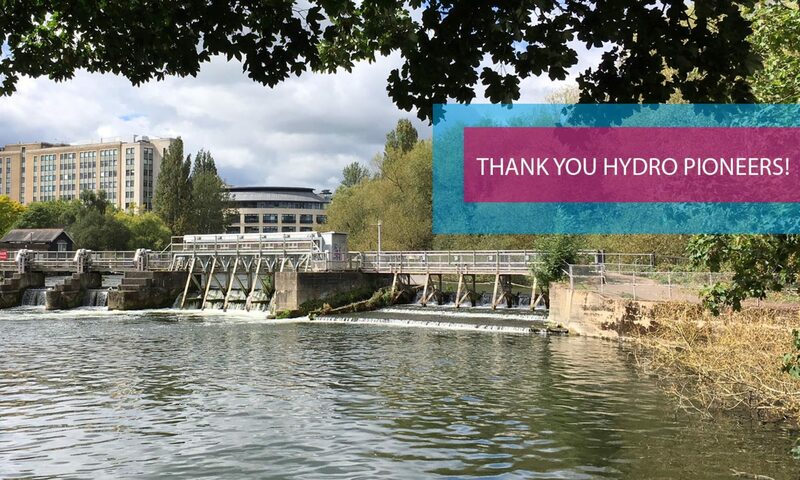 Have you looked at joining our Hydro Pioneers investment round? Next PostNext WE DID IT HYDRO PIONEERS!